Pamela Ackerson’s storytelling all began with her younger brother, creating wonderful children’s stories on vacation trips to keep him occupied. Later, she started writing poems and short stories as a teen. Born and raised in Newport, RI where history is a way of life, Pam now lives on the Space Coast of Florida where you are encourage to reach for the stars. She’s just a hop, skip, and jump from Orlando and Disney World, where imagination and fantasy abounds. She has three children, all girls, three grandchildren, and a wonderful husband who puts up with her writer quirks. Pam may have majored in child psychology with a minor in English, but her distinguished choice of careers never made fruition. 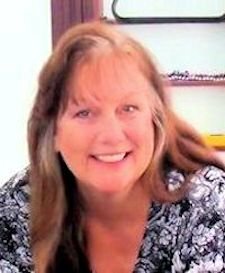 Instead, life led her to working in restaurants, interior decorating, owning an advertising business, content editor for a publishing house, teaching and owning a ballroom dance studio, and real estate investments. She is a practicing herbalist and has been involved in the use of natural treatment with raw herbs for over thirty years. As her day job, she currently works as the V.P. 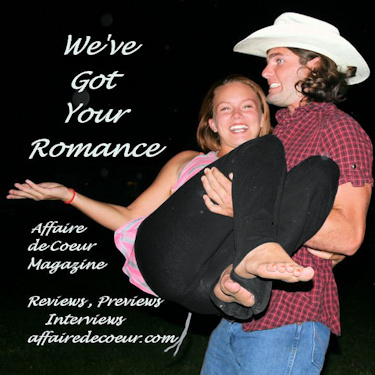 of Marketing and Advertising for the book review magazine, Affaire de Coeur. 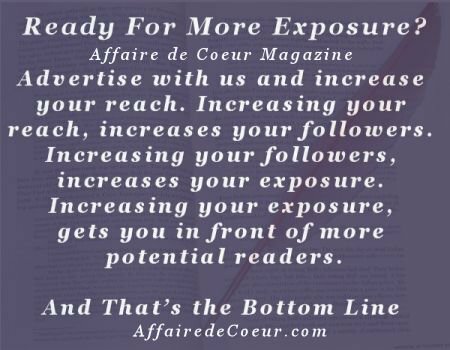 If you are an author and are interested in promoting your book or books with the magazine, I will be happy to work with you and do everything I can to make life easier for you. The Wilderness Series all began with a dream. Determined to write my first book I started researching about the Cherokee Indians. Piles of research, books loaned from the library, and a foot high pile of spiral notebooks with notes about who I wanted to write about and why. Open encyclopedias, tagged pages lay strewn across the furniture and on the floor of our family room. It was forced. It felt forced. I wasn’t listening to my voices. I should’ve known better but it had been such a long time, almost twelve years, since I had sat down to write. It was frustrating and I was ready to give up. Then, the eagles returned. It was mating season. It was comforting, they were always near me. We had them flying overhead, nests in our backyard. They were my eagles. At first I wasn’t paying attention to the dreams. I was dreaming about eagles. I set it aside as normal, typical… I had seen them earlier that day. That’s why I was dreaming about them. Until they had me fly with them. Yes. Off I went flying beside them. Three nights in a row they took me to the same spot. Three nights the eagles would turn into Indian warriors after we landed. Three nights I heard them speak to me. It was a place I’d never been, had never seen. What was the dream trying to tell me? Where was I going? The hills were lush and green but in the distance the mountains were dark, almost black. I had no idea but being who I am, I was going to find out. The rectangular table at the library was covered in books, opened to pictures of mountains from all over the United States. There was one picture from South Dakota that looked familiar. I took the book home and stared at the images of the Black Hills. I knew where I landed. I knew who the warriors were. The Wilderness Series is a time travel saga about a modern day surgeon who finds herself in the wilds of Lakota territory, living through the Little Big Horn battle, and finding true love. It will make you laugh, cry, angry, and just about any other emotion you can think of, but in the end, there will be no regrets. A slight cliff-hanger in the first book gives subtle hints which help the reader see that it’s a happy for now. Welcome to my humble home on the web. If you like historical fiction, time-travel, suspense, a twist of the paranormal, Native American stories, Wounded Knee, the Little Big Horn battle and contemporary romance, you have come to the right place. My non-fiction book on herbal remedies is also available. Thank you for visiting my author page. I am very happy that you took time out of your precious day. You could have gone anywhere and you came here. Take your time and enjoy! A special thanks to Her Most Awesomeness author Jean Joachim for designing all four book covers for the Wilderness Series! The time-travel saga continues. Dr. Karen Anderson returns to the past, to the Lakota and her life with Standing Deer. The Little Big Horn Battle – Custer’s Last Stand looms, ending a lifestyle the People have always known. Over the span of time, they fight for freedom and the promise of tomorrow. Book 2 of the Wilderness Series is now available as an e-book on Amazon. Death follows all who oppose the westward movement. Read the chapter preview to Into the Wilderness Available in paperback or e-book. Dreams – our most intimate desires where you find yourself in a world without rules or boundaries. Modern-day surgeon, Karen Anderson, transported into the past – finds herself dreaming of faraway lands, the power of mind over matter … spirited away, swept into the arms of a sensual, dark-haired warrior, Standing Deer. Her scientific mind wants to reject what she can see and feel. From her modern-day hustle and bustle to the serenity of the life on the Plains … to the battle for freedom, she finds herself fighting for her life. Over the span of time, they fight for yesterday and together find the promise of tomorrow. Read an excerpt of Across the Wilderness Available in paperback or e-book. Purchase paperback copy from your favorite bookstore or follow the link below to purchase from Amazon. The Long and Little Doggie Children’s Series A Granny Pants Story (Pre-school to first reader) Available in paperback and e-book. Permita a sus niños que disfruten de las maravillas y aventuras de las mascotas domésticas que se integran a la familia, llevando alegría y momentos conmovedores a su vida cotidiana. Esta historia es acerca de Tubby y Riley, dos perritos que necesitan de un hogar bueno y cariñoso. The Gingerbread House — a contemporary/mystery/romance which has become a time travel — go figure… lol. The Long and Little Doggie — Great news. The Long and Little Doggie Series will be available in Spanish, Portuguese, Italian, and French! How awesome is that! Spanish and French are almost done. What an endeavor this has been! Dear Margaret — based on a true story about a WWII Pearl Harbor survivor. Meeting the Americans and people from all over the world has been one of their greatest experiences. Pam and her husband Ray are traveling around the United States, Canada, and possibly Mexico. Previous Previous post: Bitcoin Games pay out hundreds of Bitcoin every month!